26 Oxford St. Cambridge, MA. 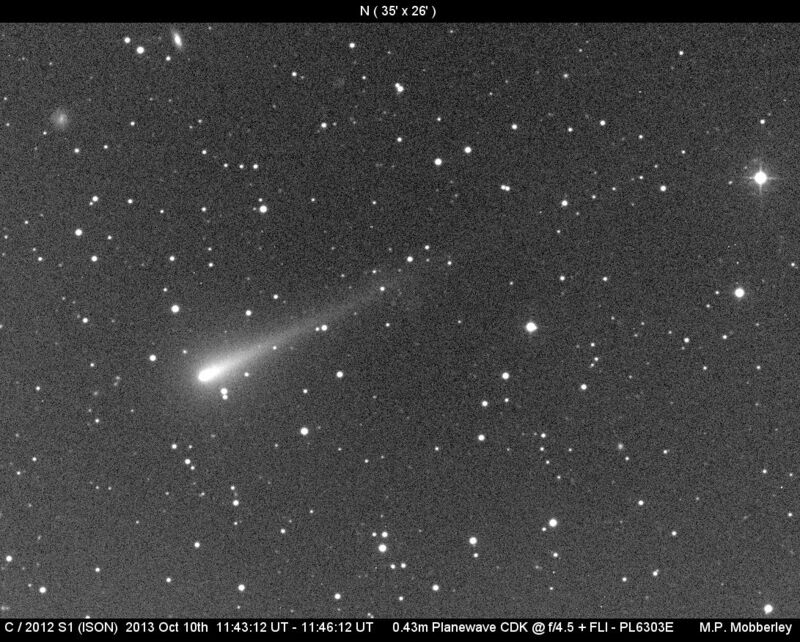 Comet C/2012 S1 (ISON) is due to pass very close by the sun at its perihelion passage on November 29. There has been rife speculation in the news media that this could be “the comet of the century.” Dr. Green will speak about comets in general and about the ISON comet in particular. He will talk about how rumors like this start in the Internet today and can spread unchecked, while also discussing what is reasonable to consider for this particular comet. It could be bright, or it could be a dud, but it will undoubtedly continue to receive a lot of press. Dr. Green runs the worldwide clearinghouse for announcing new discoveries of comets, novae, supernovae, new planetary satellites, and other items of astronomical interest, and he has spent decades dealing heavily with the news media in explaining such events; he archives cometary data and maintains a large website at Harvard. Thanks to Jeff Hecht for organizing. Details about transportation and parking are emailed with the receipt.